When I was a little girl growing up in Thailand, my parents took me to see an elephant show and ride the elephants. I was very excited to see the baby elephant kick the ball or do tricks and play games that show how clever they are. I was amazed and those elephant activitites was all I thought about when I talked about elephants. When I started to work at GROUND, I created a program for a group who would go to Chiang Mai in the north of Thailand and who would like to have an experience with elephants. The first thing that popped into my head was visiting an elephant show or riding elephants. I thought it would be really fun for the group like it had been for me, but my manager rejected my program because it did not pass the company’s policy. “Why?! This is very fun they can see the elephant and ride them, and it’s great for students” is what I asked her. Then, after a training about the conditions that many captive elephants are kept in, including some awful videos, I came to understand. The training was fairly short, but it changed my attitude and gave me a better knowledge about elephants. If you want to understand more, have a look at this report from World Animal Protection. Back to now, when I make programs that involve elephant activitites I can tell you that I would never include elephant shows or elephant riding, and additionally any elephant camp that we visit has to pass our policy and standard. 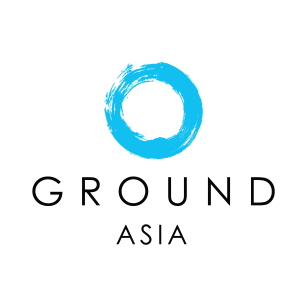 What is GROUND’s policy and standard? Firstly, we will not work with the elephant camp that has elephant shows or rides the elephants. Then additionally we also follow the guidelines from Travelife and we work with camps that have passed the audit. At GROUND, we are confident working with elephant camps that have passed the Travelife audit. As well as elephants, we care about other animals and do not support any place that has animal shows of any kind. Changing the attitudes of people towards animal shows is not the easiest task, but I believe that by educating our groups about animal welfare and taking action now to not support those who mistreat animals, maybe one day we will not see elephant shows in Thailand in the future.